Spondylolysis and Spondylolisthesis can be considered as identical. These two conditions are usually interrelated. But these two conditions can also exist alone. ‘Spondylo’ relates to spine and ‘lysis’ and ‘listhesis’ relate to conditions of the functional unit of the spinal column. Spondylolisthesis is a forward or backward shearing subluxation of the vertebral body of the superior vertebra on its inferior counterpart.eg.L4 on L5 or L5 on S1. This term is derived from the Greek word ‘Olisthesis’ which means slipping or falling. Theoretically any vertebra may slide upon its adjacent vertebra within a functional unit. 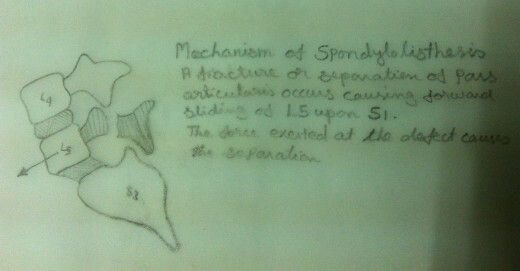 But the term Spondylolisthesis is used generally to denote sliding or subluxation of L5 on S1 or L4 on L5. 70% of the Spondylolisthesis occurs at the fifth lumbar vertebra on the sacrum, 25% occurs at the fourth lumbar vertebra on the fifth lumbar vertebra and only 4% at higher levels. In the lumbar spine, the superior vertebra maintains an inclined plane on its immediate inferior vertebra. The superior surface of S1 is at a sharp angle when compared to the superior surface of the L5 which is inclined at a lesser degree. The superior surface of the L3 is usually horizontal. From this it is clear that the subluxation of L5 on S1 is more common when compared to the other vertebra. Hence the fifth lumbar vertebra has the tendency to glide on S1 due to shear force and the gravity. Anyway forward sliding is prevented by the mechanical alignment of the posterior facet joints, their ligaments, their capsules, the integrity of the annulus of the intervertebral discs and the posterior and anterior longitudinal ligaments. The nucleus of the intact intervertebral disc expands and places the annular fibres and the longitudinal ligaments under tension. This tension resists vertebral sliding. These factors prevent sliding of the vertebral body of the superior vertebra on the inferior counterpart. But defect in any of the above mentioned supporting structures may cause ‘listhesis’ of the superior vertebra on the inferior vertebra of the functional unit. Spondylolisthesis may be classified into five catagories on the basis of the causative factors. Type 1 – Isthmic – In Isthmic Spondylolisthesis, there is an anatomic defect in the par articularis. Type 2 – Congenital – In Congenital Spondylolisthesis, the posterior structures are structurally inadequate due to developmental causes. It is a rare type. Type 3- Degenerative – In Degenerative Spondylolisthesis, due to degenerative changes the facets and the supporting ligamentous structures are deficient and hence ‘listhesis’ results. In this type there is no defect in the pars articularis. In this case the spondylolisthesis may be due to trauma or aging. This is usually progressive. Type 4 – Elongated Pedicles – In this case the neural arch is elongated and the facets are placed more posteriorly. Other shear and traction forces result in the progression of the condition. Type 5 – Destructive Disease – This type is secondary to metabolic, malignant or infectious diseases. Any bone disease, in short, weather it is primary or secondary, may result in ‘listhesis’. The presence of ‘listhesis’ is usually noted on a x-ray. ‘Listhesis’ may exist throughout a person’s life without any symptoms. Spondylolisthesis of Isthmic type between L5 – S1 usually does not progress between 20-70 years of age. Low Back Pain – Usually referred laterally into the region of sacroiliac joint. Usually the pain is vague. Pain radiate into hips, thighs and even in the feet. Pain has no dermatomal pattern. Referred Symptom – Sometimes the referred symptom may not be pain. But may be numbness or tingling sensation. 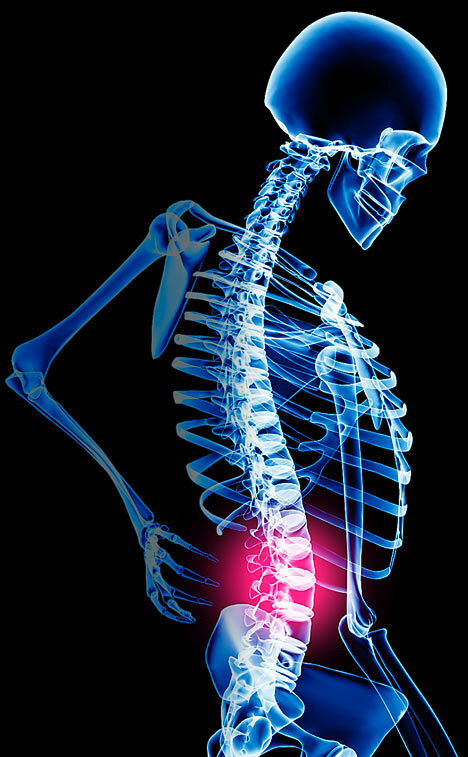 Low Back Stiffness – The patient feels stiffness of low back with limited flexibility. The patient usually feels discomfort while lifting, excessive bending or from prolonged standing without moving. Palpable ‘Ledge’ – On passing the fingers down the lumbosacral spine, usually, a palpable ‘ledge’ is felt. Segmental Lordosis – A Segmental lordosis is present at the low back. Pain can be reproduced or accentuated by holding the person in an excessive lordotic posture for an extended period of time. Hamstring Muscle Tightness – The Hamstring muscles are usually tight. Percussion – Over the Lumbosacral area may produce tenderness or pain. Peculiar Gait – Due to posterior tilting of pelvis, decreasing of lordosis and slight flexion of the hip joint. Neurological Examination – Normal in uncomplicated spondylolisthesis. X-rays and CT scans – may show the following. Defect in the pars articularis. An Elongated arch. A fracture. Severe lumbosacral angulation. Severe disc degeneration. Spinal Stenosis – Since the superior vertebra slides forward on the lower vertebra the spinal canal narrows. Narrowing of the spinal canal results in foraminal stenosis. Thickening of the pars articularis defect by the fibrous tissue, also causes an encroachment on the spinal canal and foramina. This also causes pressure on the nerve roots or the thecal sac. 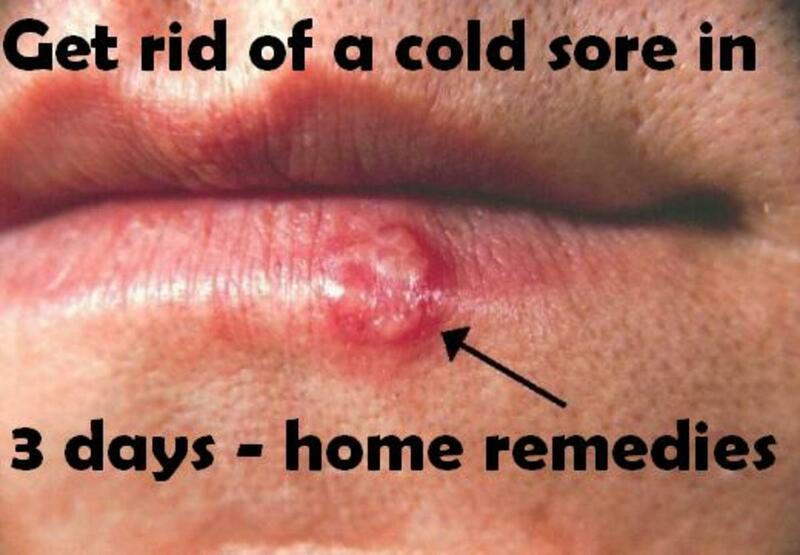 This results in neurological signs and symptoms. The treatment depends on the severity of the symptoms and the extent of neurological deficit. The objective of the nonsurgical treatment is to relieve pain and to decrease the forces of gravity that is acting on the inclined plane of the sacrum. The pelvis may be rotated to decrease the lumbosacral angle. This minimises the extent of forward gliding of the superior vertebra on the inferior vertebra. Decreasing the lumbosacral angle may also relieve the stress on the facet joints. 1. Application of ice – in the acute stage. Crushed ice cubes wrapped in a thick towel is kept on the painful low back area for 20 minutes. Now remove the ice from the back for 10 minutes. Then again it is applied on the painful low back area for 20 minutes. Repeat this 2-3 times a day. Application of heat – Once the acute stage is over heat may be applied. Electrotherapy application – Electrotherapy modalities like Short Wave Diathermy(SWD), Ultra Sound Therapy(UST), Transcutaneous Electrical Nerve Stimulation(TENS), Infrared Radiation(IR) etc. may also be included in the treatment regime for spondylolisthesis. Pelvic Tilt Exercises – In this exercise, the anterior aspect of the pelvis is elevated and the posterior aspect lowered. (Please refer ‘How to take care of your back?’-Earlier articles). Abdominal Muscle Strengthening Exercises – Strong abdominal muscles, especially the Obliques, must be gained and maintained. (Please refer ‘How to take care of your back?’-Earlier articles). Spinal Extension Exercises – Strong Spinal Extension Muscles must be gained and maintained. This is because bending and lifting activities mainly rely on these muscles and the ligaments. Hamstring Stretching Exercises – The tightness of the hamstring muscles must be released. Tight hamstring muscles exert an excessive stress on the low back. (Please refer ‘How to take care of your back?’- Earlier articles). Application of Corset or Brace – A Corset or Brace may be advised. It decreases the lordosis, reinforces the abdominal muscles and minimises excessive movement during bending or lifting. A brace must be used along with the exercises. Using a corset or a brace is not a substitute for the exercise programme. Prolonged use of corset or brace tends to diminish the activities of the abdominal as well as spinal extension muscles. This may lead to atrophy, weakness and loss of flexibility of the abdominal and spinal extension muscles. Surgical intervention – When there is neurological deficit – root entrapment with radicular symptoms, cord symptoms from spinal canal stenosis, bladder symptoms from thecal sack encroachment, or an intractable pain causing functional impairment which does not favourably respond to conservative treatment. Surgical treatment varies from fusion of L4 to L5, L5 to sacrum or Anterior inter body fusion. Laminectomy is performed when the arch is involved in nerve root entrapment. Prevention of recurrence of symptoms is difficult because the problem is anatomically mechanical. Principles of ‘how to take care of your back?’ plays an important role in preventing its recurrence. Teaching the person how the spine normally functions and how this condition of spondylolisthesis prevents normal function is very important. Instituting normal and proper body function in everyday activities is very important.